Infographics: Who’s Winning at Online Marketing? Online marketing has played a major role in this year’s presidential election. But who’s doing it better? Content marketing and social media marketing firm AudienceBloom looked at the numbers and analyzed comments and sentiment to paint a picture of each candidates’ online marketing performance thus far. It’s clear that Trump has far more followers on social media, as well as media exposure in general. However, he’s a more polarizing figure than Clinton, according to our sentiment analysis. When it comes to advertising, Clinton’s campaign is far outpacing Trump’s. So, who’s winning, overall? The edge goes to Trump. Whether that will translate to enough votes come November remains to be seen.Until then, check out the inforgraphic below to see how it all breaks down. 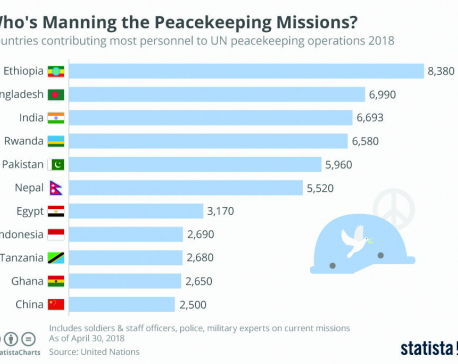 Infographics: Who's manning the peacekeeping missions?